Full day tour incl. lunch just US $ 15 !! Just US $ 15 ! More info here! 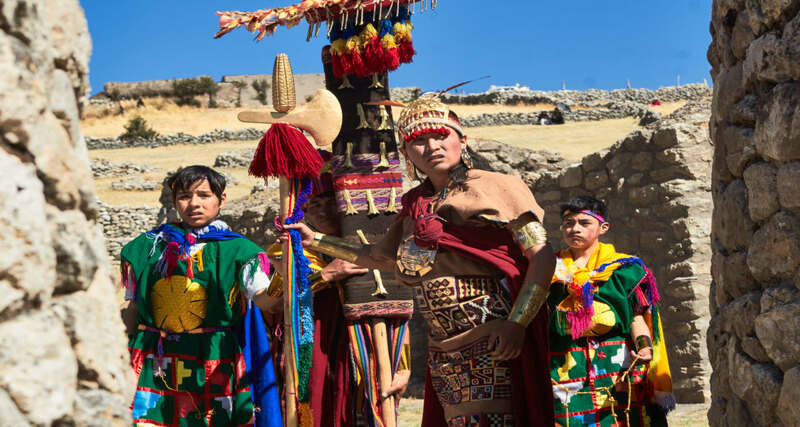 Discover the Kanamarka pre-inca site! 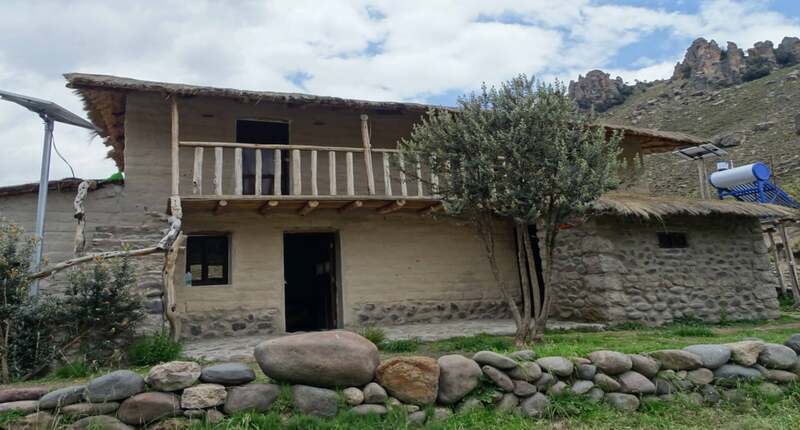 Traditional Andes Farmlife, you will love this place! 1 person / 1 night: US $ 14 -> More info! Espinar Peru: Discover it's beautiful surroundings! Espinar Peru: A hidden gem in the Andes! Just between tourist hotspots Cusco and Arequipa / Colca Canyon. Around Espinar you will find a stunning combination of beautiful nature and pre-Inca sites. All these sites: Free Entrance/ No Crowds / Be AMAZED!!! We can give you advice how to add Espinar in your journey. Combine Espinar with your visit to Cusco and Colca Canyon! 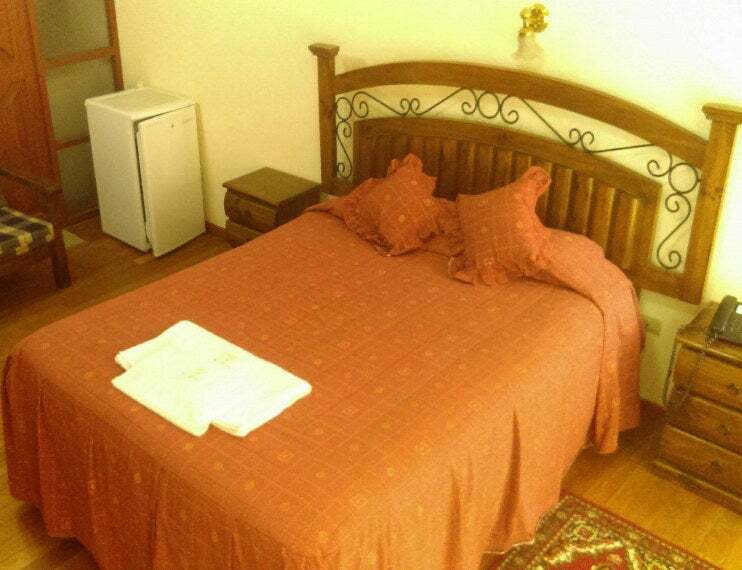 We have contacts with the best hotels, hostals and agriturismo in and around Espinar. We can offer you the best local transport from Espinar to all te highlights in the region. Cheap and reliable! The region of Espinar is great for photography. Nature and Inca sites are perfect for taking pictures! We can get you in contact with local official tourguides who provide the best tours! The scenery around Espinar makes hungry and thirsty :)! We know the best places in town! Book a excursion to Tres Cañones. Visit this beautiful site with a local guide. During this tour you will have plenty of time to enjoy this site! Full day tour including lunch now just US$ 15!! 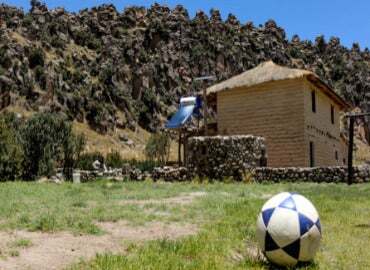 Come and enjoy Tres Cañones Suykutambo, a hidden gem near Espinar, Cusco province Peru. Be amazed by her magnificent view and amazing mountains with their canyons. You can walk around and just sit and enjoy the silence and beauty of the mountains and rivers! This place is not discovered yet by mass tourism! Book a tour to Kanamarka $15,-. During this excursion by an official guide you can take photos of this beautiful site. No one is standing in your way! View this historical site just outside Espinar! You will get an impression of the advanced building skills of this pre-inca Kana civilisation. Let our official guide tell you about this well preserved settlement. This site is not discovered bij mass tourism yet, no one will be standing in front of your camera! Big change Kanamarka makes a bigger impression than Machupichu!! Turismovivencial also known as Agriturismo. Travel to Espinar and visit this wonderfull place and family! You wont't regret it, that's a promise!! Catch some trout and cook it straight away! Go Hiking or Cycling and experience the wonderful surroundings! Take Peruvian cooking classes! Milk cows and lama's. Take the cows up the mountains and bring them safe back! Or just relax and enjoy only the sound of the river. Enjoy authentic family farmlife! Rooms for tourists just completed, 100 % solar powered! US $ 14 1p/1n BOOK NOW!! Are you ready for Espinar in Peru? Let us help you to have a great time! The Espinar Plaza Hotel is your best choice in Espinar! Enjoy their high quality rooms, friendly staff and service. On the car free main street in Espinar close to restaurants and theatre! They provide tours to all the beautiful places outside Espinar, like Tres Canones and Kanamarka. Free tea and coffee available! 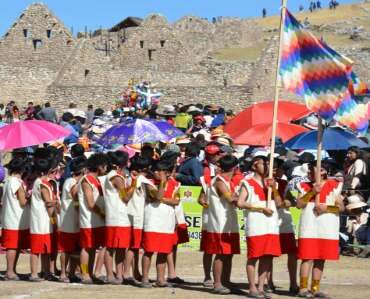 Espinar Peru is located south of the department of Cusco at an average altitude of 3950 m.s. Preliminary studies show the findings to the date of fossils, belong to the middle Miocene - Pliocene period, between 12 and 3 million years, establishing in the area the Wayna Runes with an age of 5000 a.c. they were the first men to live in existing caverns and rock formations Chisicata, Trapichepampa, and Huth'u, places where you can see cave paintings in caves and shelters, where you can see human representations, camelids, concentric circles, among other reasons; the paintings that have been identified are of red colors, cuttlefish, yellow ocher and in some cases white. To 25 km of Espinar, is the district of Coporaque, community Mamanihuayta to 3915 msnm, in the zone of the Suykutambo Canyon, has like main construction an imposing chullpa, the other buildings are of stone and mud, in its majority circular plants that alternate with other rectangular constructions, clearly influenced by the cultures Qolla, Inca and Colonial, presents an Inca road (Qhapaq Ñan). 30 km from Espinar in Suykutambo district, Chaupimayo community at 4081 meters above sea level, it is mysteriously located in a strategic point of the Suykutambo Canyon, where you can observe 80 meter high cliffs, volcanic origin, surrounded by forests of tufas whimsical, presenting a forest wealth of Quewña, forming a majestic landscape, where the Suykutambo Canyon is the great start of the Amazon River. The distribution and urban planning of the site shows a Pre-Inca and Inca occupation and its location defines it as an axis of control established in the Suykutambo Canyon, it was a large population center due to the large presence of circular and rectangular dwellings. top areas of ceremonial and astronomical character as well as funerary contexts a main access road to three canyons. 14 km from Espinar in the district of Alto Pichigua, Chañi K'anamarka community at 3950 m.s. is the K'ana nation, which was the political and religious capital of this pre - Inca culture, being the most important of the high Andean areas of the department of Cusco, conformed by 122 enclosures, of which 76 are circular and 46 rectangular and quadrangular, for the planned distribution of its squares, streets; possibly fulfilled an administrative and ceremonial role. 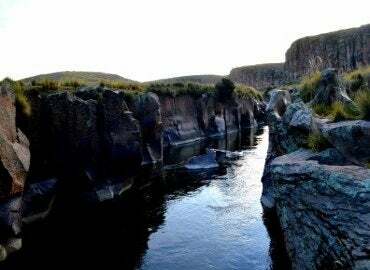 30 km from Espinar in the district of Suykutambo, community and Chaupimayo at 4095 m.s., is the confluence of three rivers Caullamani, Apurimac and Cerritambo, forming three canyons in the headwaters of the imposing Apurimac River, showing majestic landscapes sculpted by nature. The K'ana Espinar territory still maintains its traditional culture, manifesting itself through its folklore (folklore dances in festivals) and its gastronomy. Espinar has a millenary history that goes from pre - history to our times, being a great alternative for tourism, a true paradise for those who like lagoons with enigmatic reflections, archaeological centers not yet deciphered by science, capricious geography that lends itself to adventure sports and discover that there is beyond the conventional tourist circuits traveling kilometers and harvesting unforgettable experiences and emotions.